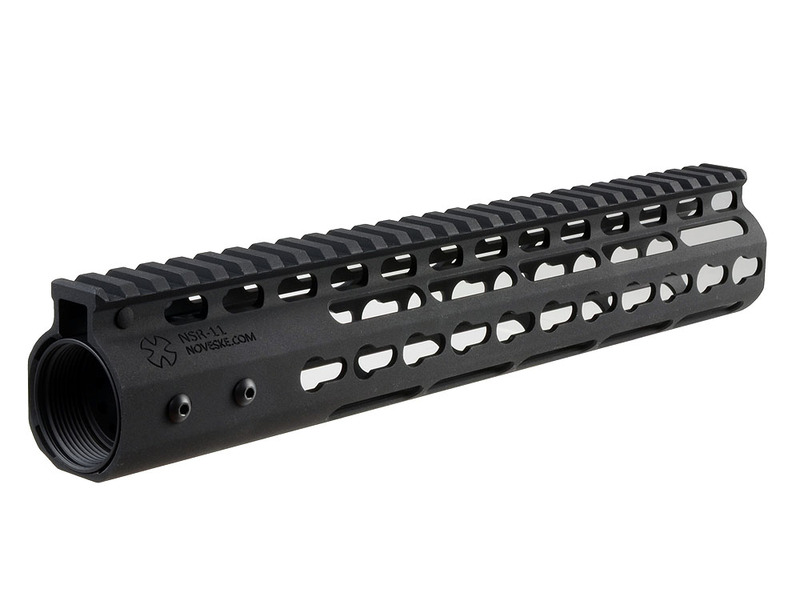 Details: Independent Reviewer: airsoft-obsessed.com Madbull is pleased to announce the release of ultra light-weight, ergonomic Noveske NSR handguard for the airsoft market! 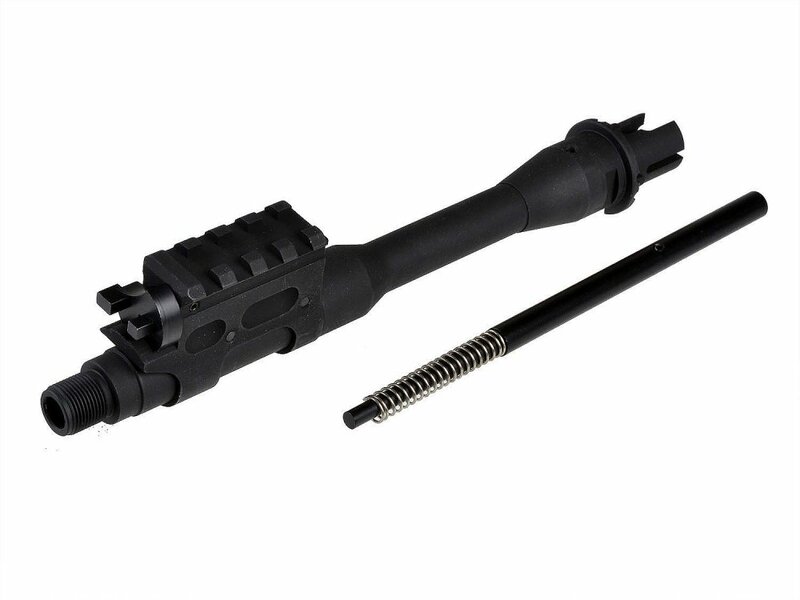 The NSR was designed with the goal of being the lightest and smallest free floating forend option to the M16 family of weapons. The KeyMod system offers a mounting platform for a variety of (future) accessories and components. The days of the Picatinny Rail (MIL-STD-1913) are numbered. The future of the direct mountable accessory is here and now. The KeyMod self-contained components/mounting hardware index and V-block onto the platform, achieving a secured and accurate hold to the system, while separate lugs take the recoil force off the fasteners. The pass through attachment method eliminates the need for loose screws and backing plates that can easily be lost, or difficult to install. 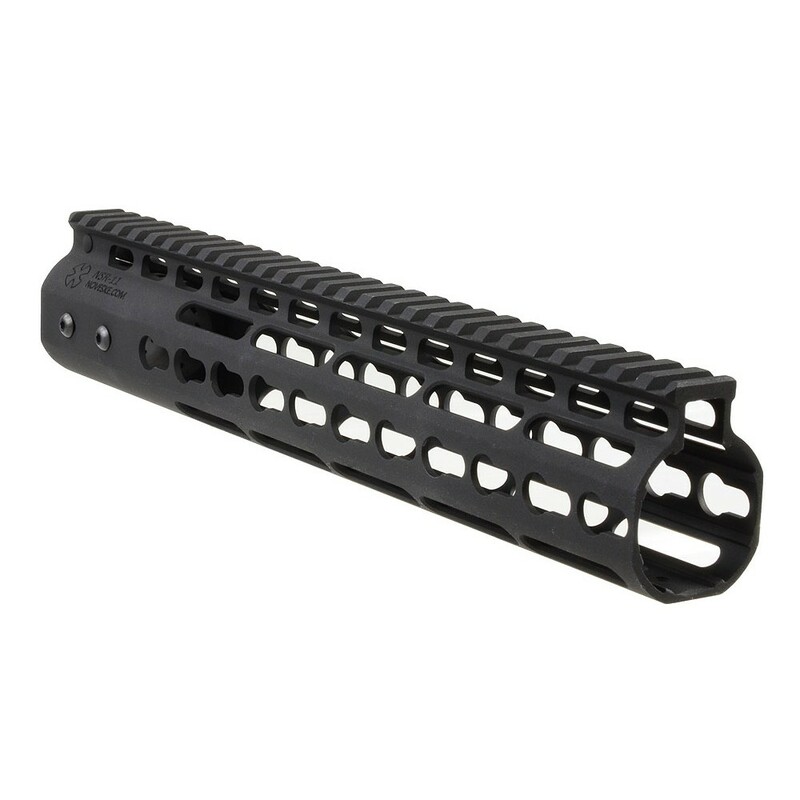 Another advantage of the KeyMod system over the 1913 system is the direct attach eliminates the need for the 1913 system as a "middle Man" thereby reducing weight and accessory off-set from the center of the handguard. 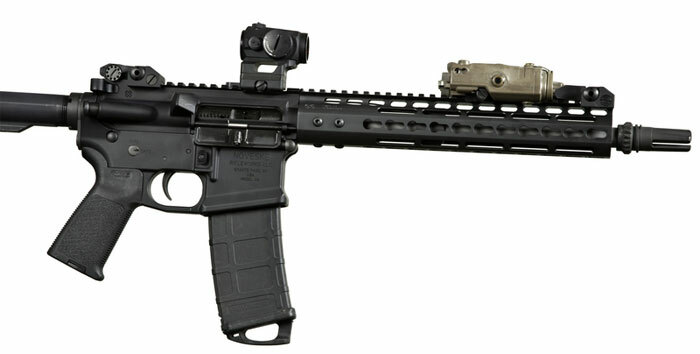 The Noveske NSR is the next evolution in rail section technology, don't get left behind! Package include: - Noveske NSR rail - 6 x barrel nut screws - Barrel nut Features: - Keymod system for variety of accessories - Ultra light weight rail system - Ergonomically slim and sleek - Smooth textured matte black finish - Component placement at eight different angles - User friendly mounting Keymod accessories.